On 31st December, the New Year was celebrated with a grand night of bhakti in the presence of Pujya Deepakbhai, as well as all the Gods and Goddesses. 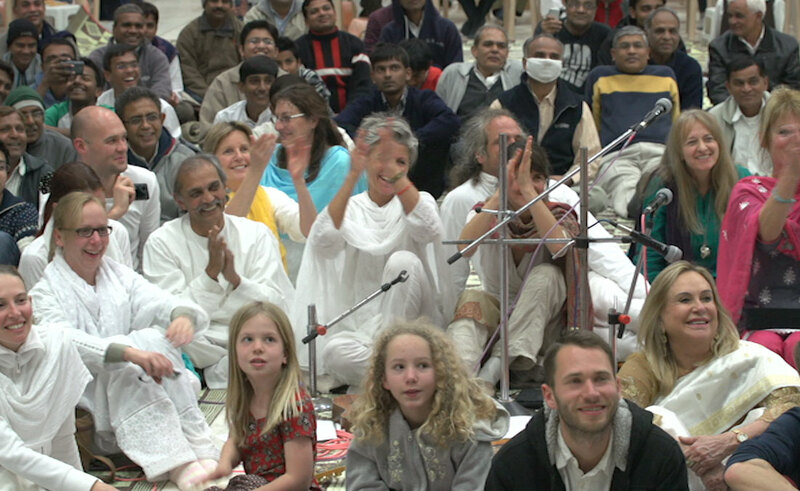 Western followers also participated in the bhakti by singing spiritual hymns that they had specially written, based on Param Pujya Dadashri’s Spiritual Science. Thereafter, Pujya Deepakbhai gave all of Dada’s followers the message for the New Year. He asked all of Dada’s followers to pray very heartily that the whole world attain peace, that there is freedom from all suffering and that everything that is wrong with the world goes away.